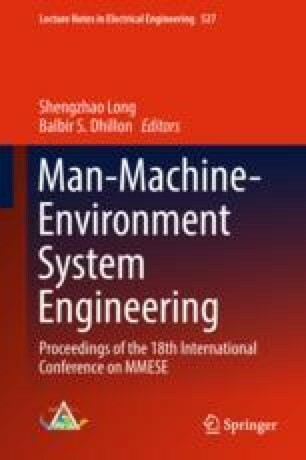 This article summarizes the existing problems of toilet systems in the high-end public toilets based on field research and design psychology, and then uses ergonomics theory to analyze the operation scene and main man–machine engineering factors. Based on the analysis, related body size data and related experimental data, we follow the ergonomic design principles and the principle of universal design to determine three different man–machine dimensions of the toilet system for ordinary adults, disabled people, and children. In the end, we design a new toilet machine which integrates mirror, sensor water, sensor of hand sanitizer, and sensor drying, combining with a semi-embedded washbasin to form a set of toilet system. This study was supported by the Human Factors Engineering Innovation and Entrepreneurship Joint Fund (201702145025) and the Human Factors Engineering and Ergonomics Curriculum System (201702145009) in the collaborative education program of production, learning, and cooperation of the Ministry of Education in 2017.